Research in my lab focuses on the molecular genetics and evolution of plant breeding systems although we have carried out studies of plant population genetics and plant/butterfly interactions. We have continued to study the genetics and evolution of breeding systems in a Neotropical clade within the Passifloraceae (formerly called the Turneraceae). In the genus Turnera, a majority of species are distylous and strongly self-incompatible, while other species are self-compatible often having anthers and stigmas in close proximity, leading to high rates of self-fertilization. We have been working towards a molecular genetic dissection of the distyly (S) locus in Turnera species. We have constructed high resolution genetic maps of the S-locus region using recombination and deletion mapping; assembled and sequenced a set of BAC clones across both the recessive and dominant haplotypes; sequenced the transcriptome of styles and stamens to discover differentially expressed genes; have developed a genetic transformation system in Turnera that will allow us to test the function of candidate genes for distyly; and we are currently sequencing the genome of one Turnera species. We have discovered a number of candidate genes using these methods and are currently testing their function. Chafe P*, Lee T*, Shore J. (2015). 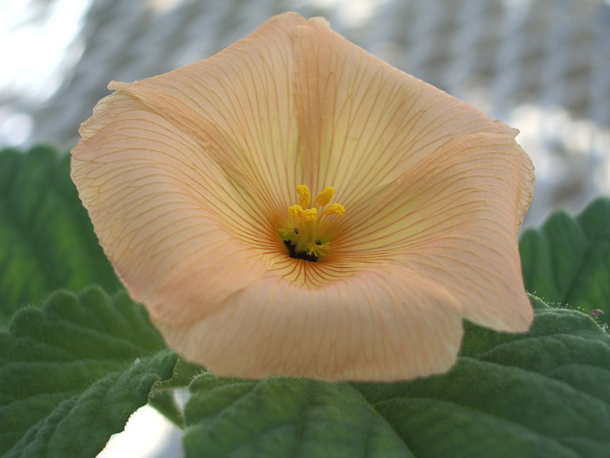 Development of a genetic transformation system for distylous Turnera joelii (Passifloraceae) and characterization of a self-compatible mutant. Plant Cell, Tissue and Organ Culture 120: 507-517. Lopez A*, Fernandez A, Shore J. (2013). Inferences on the origins of polyploid Turnera species (Passifloraceae) based on molecular data.Botany 91(3): 167-175. Thulin M, Razafimandimbison G, Chafe P*, Heidari N, Kool A, Shore J. (2012). Phylogeny of the Turneraceae clade (Passifloraceae s.l. ): Trans-Atlantic disjunctions and two new genera in Africa.Taxon 61(2): 308-323. Labonne J*, Shore J. (2011). Positional cloning of the s haplotype determining the floral and incompatibility phenotype of the long-styled morph in distylous Turnera subulata. Molecular Genetics and Genomics. 285(2): 101-111. Safavian D*, Shore J. (2010). Ultrastructure of styles and pollen tubes of distylous Turnera joelii and T. scabra (Turneraceae): Are there different mechanisms of incompatibility?. Sexual Plant Reproduction 23(3): 225-237. Labonne J*, Tamari F*, Shore J. (2010). Characterization of X-ray generated floral mutants carrying deletions at the S-locus of distylous Turnera subulata. Heredity105: 235-243.